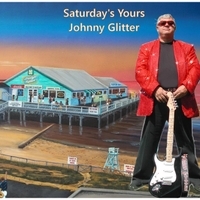 Song conceived, written, and performed by John W. Edwards aka Johnny Glitter. All instruments and mixing by John W. Edwards. In the venue of Carolina Beach music this music was written and performed by John W. Edwards aka Johnny Glitter. It was featured on SOS in Myrtle Beach SC in 2007. and reached to number five (5) in some towns. It is about a guy and his life long girl friend and how all Saturdays were always devoted to her.